Lorna's ex-Driver partner. She used to drive a Subaru Impreza WRC in the first episode which was wrecked had to be replaced with a Group 4 specification Lancia Stratos HF from the second episode onwards. 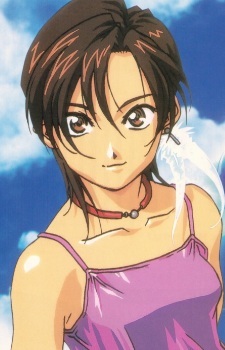 Initially, she was not on good terms with Sōichi but grew to like him as the series progressed. In eX-Driver the Movie, she's wearing a jeans and has a belt buckle with "QB" design.